A recurring issue our New Jersey injury lawyers have noticed involves valuing Medicare and Medicaid (collectively referred to as Medicare) liens. Failure to identify and satisfy these liens in your personal injury lawsuit could wipe out or greatly reduce the money that you recover. The goal is to obviously satisfy any Medicare liens and while maximizing a client's financial recovery from a personal injury lawsuit. 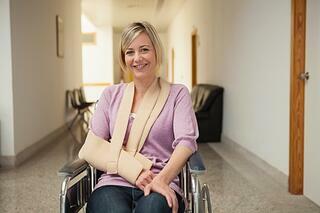 The injury lawyer must identify all government benefits that the client is receiving. These benefits would include not only Medicare and Medicaid, but also any Social Security benefits, including disability and income benefits. Before settling a case, the amounts of these liens must be known because they get paid first out of any recovery. Money on any recovery cannot be dispersed to the injured client until these amounts are finalized and paid. A request has to be made on the Centers for Medicare and Medicaid Services (CMS) and/or the Social Security Administration (SSA) by your attorney. CMS and SSA will then respond identifying the benefits that you have received. After this, your attorney must examine all possible liens that must be negotiated and settled after the end of your lawsuit. Medicare now runs its lien recovery through the Medicare Secondary Payer Recovery Center (MSPRC) in Detroit, Michigan. MSPRC must be notified of the of the pending litigation along with information on you and your claims. MSPRC will be notified of all personal injuries related to the lawsuit. Medicare, however, has liens only against treatment for your specific injuries arising from the accident or incident. Other Medicare related medical benefits, such as for treatment unrelated to the accident, do not carry a lien against your personal injury recovery. Thus, it is important to show the MSPRC the injuries for which you are seeking recovery and identify which treatment is unrelated to your injuries arising from your accident. The problem that is occurring in personal injury cases is that MSPRC is slow to respond, and it can take months to resolve or negotiate medicare liens. MSPRC is holding up many personal injury settlements because of its delay. It becomes a difficult balancing act because you do not want to finally settle your personal injury case without knowing the final medicare lien. In addition, treatment for serious injuries sustained in an accident can take a long time, sometimes years. Resolution of a claim before treatment is complete can be disastrous resulting in life-long unresolved injuries, and future medical expenses on those injuries. To be sure, any injury lawyer will tell you that knowing the amount of these liens is important in the valuation of both settlement and trial value of a case. Since all liens are paid out of a recover, you have to know what liens are out there. Medicare will generally negotiate down the liens. It will recognize the treatment unrelated to the injury and take that off the lien. Medicare will also usually proportionately reduce the lien by the amount of the attorney fees and costs. For example, if the attorney fee is one-third of your recovery, medicare will many times reduce the lien by a third. Additionally, if you recover less than the amount of the lien, medicare will genrally compromise the lien so the injured party does recover some money. If you have questions about Medicare lien or issues related to injuries sustained in a personal injury case, please feel free to contact an injury lawyer in one of our New Jersey offices.